If you are a bit of a math geek, you might already know that March 14th is Pi Day. It has this designation because 3/14 is the start of the number pi (Ï€, or 3.14159…). 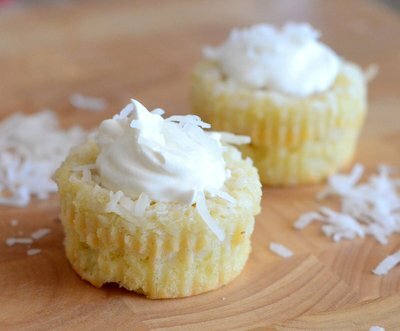 Pi Day is often celebrated with slices of actual pie, due to the similar sound of their names, but you could pipe a pi onto cupcakes, cookies or regular cakes to infuse your day with a little pi, as well. 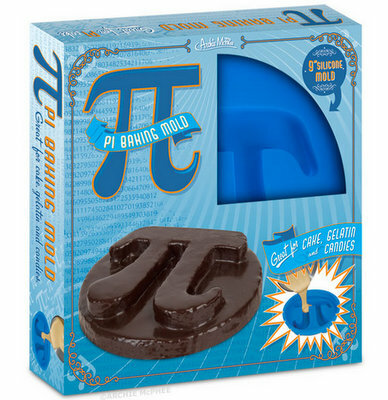 You could also get yourself a Pi Baking Mold for pi-related culinary projects. The silicone mold is 9-inches across and 2-inches deep, and it has a bold pi symbol right on top. It is oven and freezer safe, so you can use it to bake a pi cake and also to mold pi ice blocks for chilling punch at parties (preferably math-related parties, of course). Like most silicone bakeware, you will want to place this on top of a baking sheet when you put it into the oven to ensure that it stays level so your cake bakes as evenly as possible.Â Â It can also be used for molding gelatin, if you prefer your pi to be jiggly. The pan certainly isn’t going to replace a standard cake pan, but if you have any kind of fondness for the number pi, this should be right up your alley. And there probably isn’t a math teacher out there who would say no to a pi-themed cake, whether it is pi day or not!